Basically I wanted to have a go with the Black Powder American Civil War rules before the next Donald Featherstone memorial weekend, where we will be using them. In the end I decided that Don’s own rules work better than those we are planning to use in his memory! In one of my slowly progressing projects I am playing the board game “Axis & Allies”, starting in 1939, but each engagement is resolved using the “Memoir 44” game using 1/285 models on a Kallistra hexxon game board. The Axis & Allies game board has been added as a background to an Excel spreadsheet and movement is not by terrain area but by grid square. Movement has been reduced to weekly time periods and resource gathering to monthly. I believe the original game works in approximately quarterly turns. So when two forces meet in adjacent squares they, and any supports within one move, are converted as below. This means that strategically I may be moving the 3rd Tank Army, but the commander on the field has to work with whatever is available on the day. Conversion from Axis & Allies to Memoir 44. For each full strength Axis & Allies unit, roll all 8 battle dice. Battle Dice have faces showing 1 tank, 2 infantry, 1 grenade, 1 star & 1 flag. As the campaign progresses, units are weakened in battle and fewer dice are rolled. Re-roll Flag and Star faces. * Armoured cars battle as patrol cars, target as armour. 1 Star re-rolled as tank = 1 AT Rifle base +3 rifle base. Support (2nd Infantry Army) (8) May arrive German left flank if “Direct from HQ” card played. Support (1st Infantry Army) (6) may arrive in German rear if “Direct from HQ” card played. Support (1st Jagd Luftflotte) (8) – fighter – may arrive from German rear if “Air Power” card played. Support (1st Bomber Luftflotte) (8) – bomber – may arrive from German left if “Air Power” card played. NOTE that it is no relevance which elements were engaged previously. For each battle the dice are rolled anew. What’s been happening since my last post on 24th January? I have asked three times for the scaffolding around our house to be removed, so far to no effect. 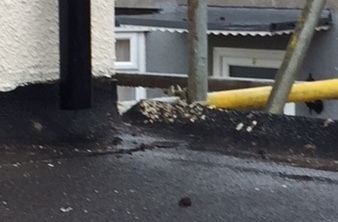 Actually it may be a “Good Thing” that it is still there because I discovered that the builders have installed guttering to the side of our flat-roof extension but have forgotten to divert the down-pipe into that guttering. 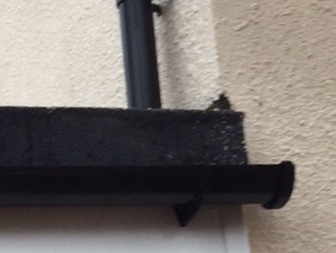 This not only makes a disturbing noise when it rains but is not useful for the long-term preservation of the felt roof. There is no progress yet on re-roofing of the man-cave/workshop. The inside of the roof and joists are developing mildew, so I have installed an oil-filled radiator to help keep the place dry until a proper roof can be fitted. Over the weekend my wife and I independently came up with the idea that a clear plastic corrugated roof would have drained better and let in more light at the expense of temperature. Ho-hum. Spilt milk, no use crying over. Some of my MDF war game tokens in use in the shed have also gone a bit “furry” in the past week, and needed a clean-up. I have progressed the end stages of the Battle of Brighton by another five minutes (Wow!). The British are extracting their forces while the Germans keep up the pressure. Once the Germans hold Brighton they will have another port (Shoreham) to begin unloading armoured forces. Currently only Rye and Newhaven are available. Brighton is area 38 in the map below. On other wargaming fronts most of the progress is with evening painting sessions. Due to my recent extreme fatigue from mid-afternoon onwards I have not made much progress, but to keep up the variety I am using one paint-pot at a time for at least four projects. 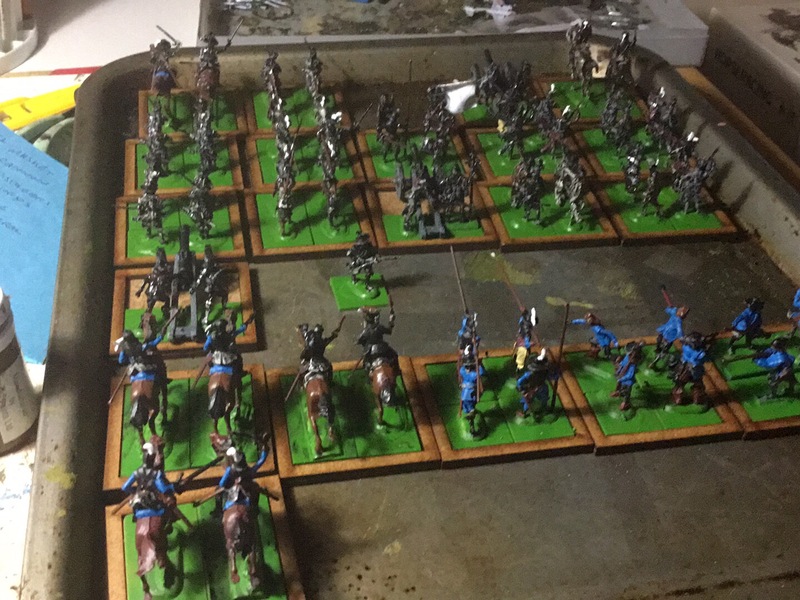 Lately it has been grass-green bases for my 2mm 1700 and 3mm WW2 troops, and for the “Battle Chess” game that I am developing for our young re-enactors. I have now moved on to “Horse Tone Brown”, which will give me plenty to do. Health-wise, I continue to improve, apart from the general feeling of lassitude. I walk the dog twice a day which keeps me active. I try to walk at least 4-5 Km each day. There are good days and bad days. I am sure that I will feel more positive WHEN (not IF) I get the “all-clear” from cancer* at the end of the month. 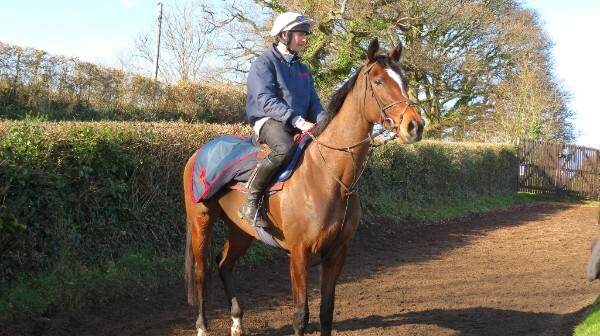 Last Thursday we made a trip to North Somerset (near Minehead) – a 7 hour, 300 mile round-trip, to visit the yard where one of our British Racing Club horses is in training. Festival Dawn (photo) looked to be in good form on the gallops, and we had an interesting tour by the yard manager who showed us all his lists and procedures. I was impressed by the way that Philip Hobbs runs His training yard, particularly that the employees who look after and ride the horses on a daily basis where possible accompany “their” horse to the races, rather than having separate travelling staff and yard staff. A good day out with my wife and dog.